Thanks for your comments on one of our feedback cards at the weekend. 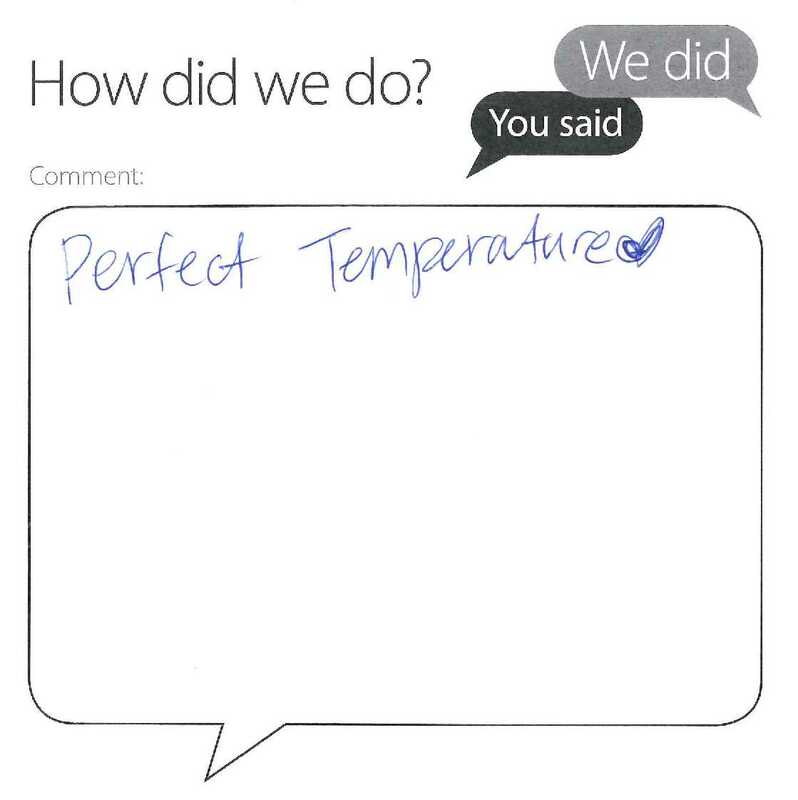 It’s not often we get compliments about the heating in the Library so your positive words are really appreciated! I’m glad you’ve found the temperature comfortable, particularly as it has been so cold recently.